Meaningful Work to Meaningful Workplace - Excellent Cultures Inc.
Marilyn Gist, Associate Dean and Professor of Management at Seattle University has powerful examples of building excellent culture through meaningful work. She clearly describes the process of how meaningful work leads to a meaningful workplace. How to be more mindful of others and less arrogant. As well as growing in common human dignity and by seeking honest feedback. 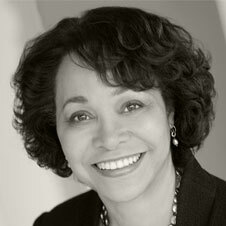 Dr. Marilyn Gist has more than 20 years’ experience in the field of executive development. She is presently Professor of Management and Associate Dean of Executive Programs, Albers School of Business and Economics, Seattle University. Also, she serves as Executive Director of the Center for Leadership Formation providing academic direction for our executive degree and certificate programs. Prior to this, Marilyn held the Boeing Endowed Professorship of Business Management at the University of Washington, where she was also the Faculty Director for Executive MBA programs for many years. In addition to her academic roles, she has served in management positions in the public and private sectors and had extensive consulting experience. Marilyn is an internationally recognized scholar. Her research emphasized confidence-based factors in motivation and training and leadership assessment and development. She has over 25 publications in leading scholarly outlets. Google Scholar, which monitors how often a publication has been cited by other scholars, provides one measure of the quality or importance of a person’s work. It shows that Marilyn’s work has been cited roughly three thousand times in articles and books that were published subsequently by other people. Her current publications include “Developing Dual-Agenda Leaders” (co-authored with Professor Sharon Lobel) in the 2012 Journal of Corporate Citizenship, and ”Self-Efficacy” (co-authored with Angela Gist) in the 2013 Oxford Bibliographies in Management.